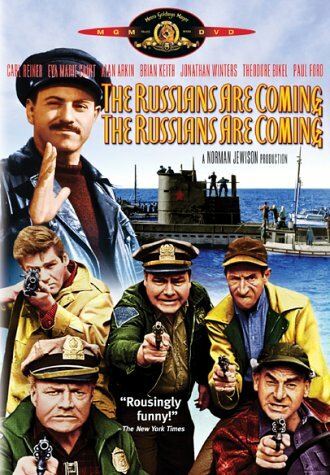 The recent alarum about Russian military aircraft entering Irish airspace has all the hallmarks of a good old-fashioned, reds-under-the-bed panic. Yes, I've heard it all before because there seems to be a perennial need to paint Russia and Russians as 'The Other', to be feared, suspected and contained. Albeit with a brief lull after the fall of the Soviet Union. We even see it in reports on the conflict in Ukraine (the separatists are always 'Russian-backed' while the Ukrainian military are apparently operating all on their own). Even the BBC is resurrecting The Russians Are Coming commentaries on the deceptive and manipulative practices of the Russian military (or Maskirovka as it's known). I don't doubt the Russian's are practicing maskirovka in Eastern Ukraine, and I don't doubt NATO are too. Russia has a long history of being invaded from every direction, but especially from the west, and Russian culture has evolved a certain mindset which is difficult for outsiders to comprehend. First of all, it is important to realize that when Russians fight off an invasion (and having the CIA and the US State Department run Ukraine with the help of Ukrainian Nazis qualifies as an invasion) they are not fighting for territory, at least not directly. Rather, they are fighting for Russia as a concept. And the concept states that Russia has been invaded numerous times, but never successfully. In the Russian mindset, invading Russia successfully involves killing just about every Russian, and, as they are fond of saying, “They can't kill us all.” (“Нас всех не убьёшь.”) Population can be restored over time (it was down 22 million at the end of World War II) but the concept, once lost, would be lost forever. It may sound nonsensical to a westerner to hear Russians call their country “a country of princes, poets and saints,” but that's what it is—it is a state of mind. Russia doesn't have a history—it is its history. Rather than demonise Russia the West needs to work with it on the task of building a more stable world order - taking Putin's offer in his speech at Valdai seriously - rather than escalating matters further. Moreover, Russia's improving demographics will make it more important to the West rather than less important. Perhaps there is a role for neutral Ireland in turning the European Union away from a path that seems set on conflict (one that will involve us in more than just airspace infringements). Given some of the similarities between the Irish and Russian national characters we might even be ideal for the job. Such a role will recognise the alignment of long term interests between Europe and Russia and will call on both Russians and Europeans to live up to the high ideals they both espouse but increasingly ignore.